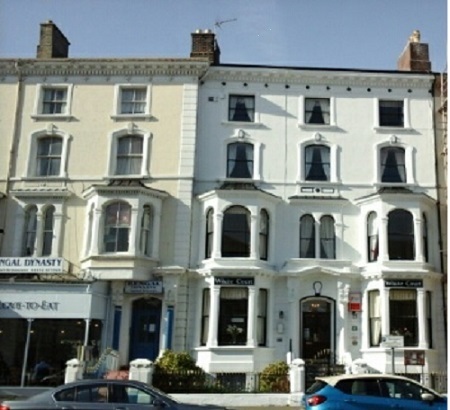 The White Court Hotel is ideally situated for exploring the treasure of North Wales, within walking distance to the main shopping areas, Victorian Pier and Promenade. This successful business has been in the same family for the past 23 years. The well appointed accommodation briefly comprises of: Reception Area, Dining Rooms, Visitors Lounge, and Eleven Letting Rooms all with En Suite facilities. Ample storage areas. Spacious owners’ apartment with two Bedrooms, Lounge, Bathroom and working Kitchen. To the rear of the building there are solid built outbuildings with laundry and off road parking plus four parking permits. Reception - A welcoming and spacious entrance with reception desk, telephone point, internet connection and down lighting. Dado rail and decorative covered ceiling. Wall mounted fire alarm system. Single glazed sash window with opaque glazing. Double radiator. 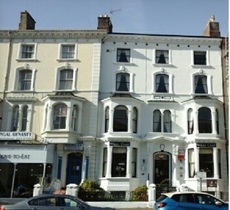 Guest Lounge - 5.46m into bay x 4.09m - Front aspect bay window with views towards the promenade and town centre. Dado and picture rails. Feature fire surround with inset living flame gas fire.